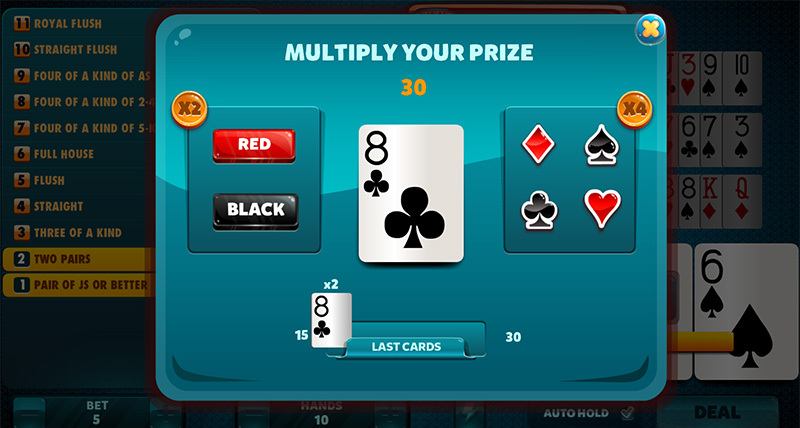 You will only need a three of a kind to win! 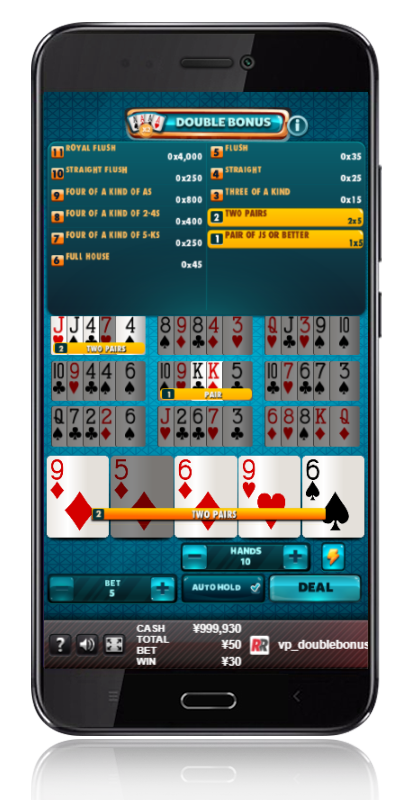 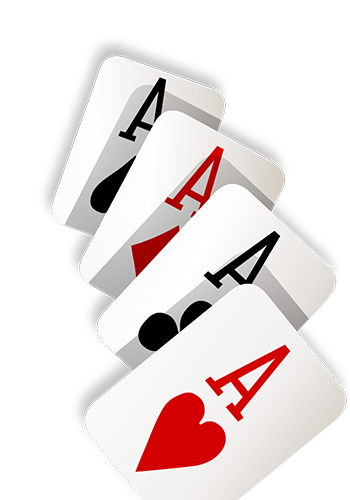 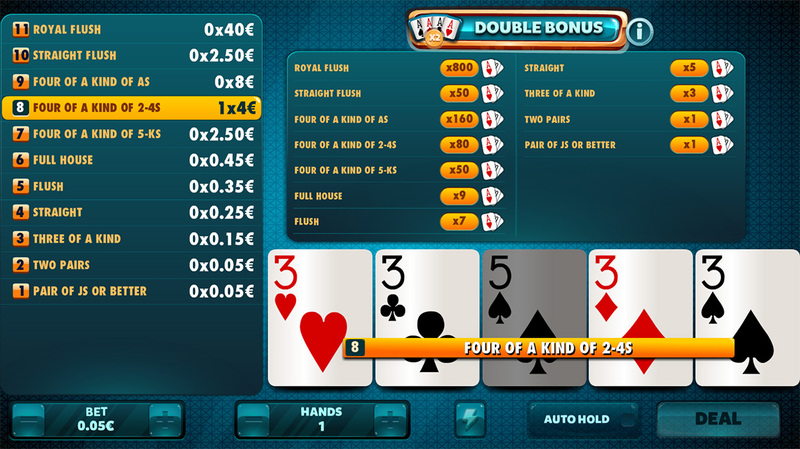 A format very similar to “Aces and Faces”, but in this case the winning combinations will be the “Four of a Kind of Aces, 2s, 3s or 4s”. 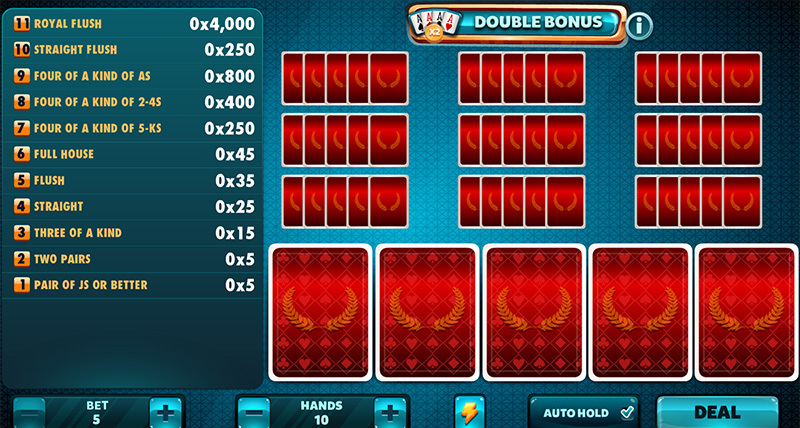 Double Bonus: You will only need a three of a kind to win! 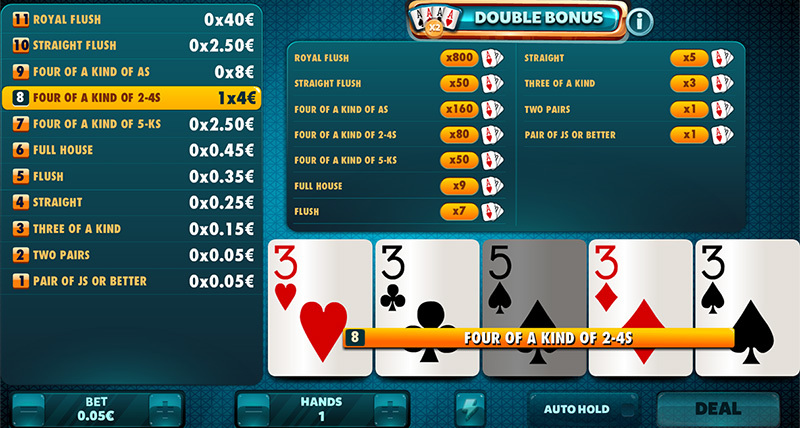 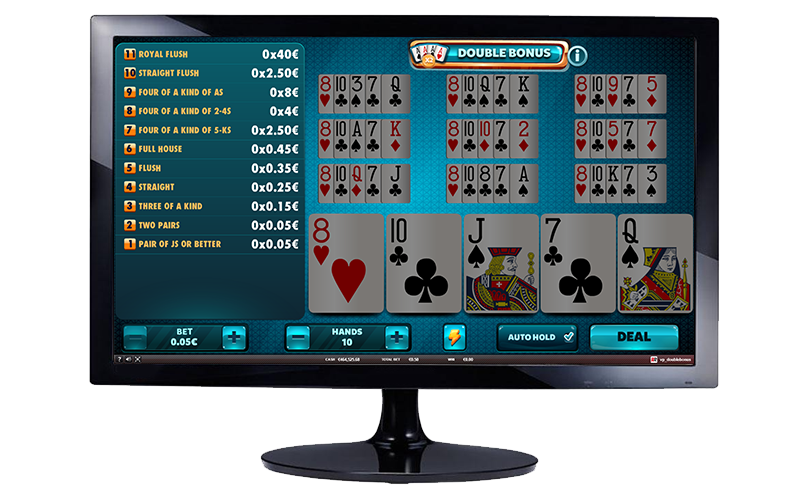 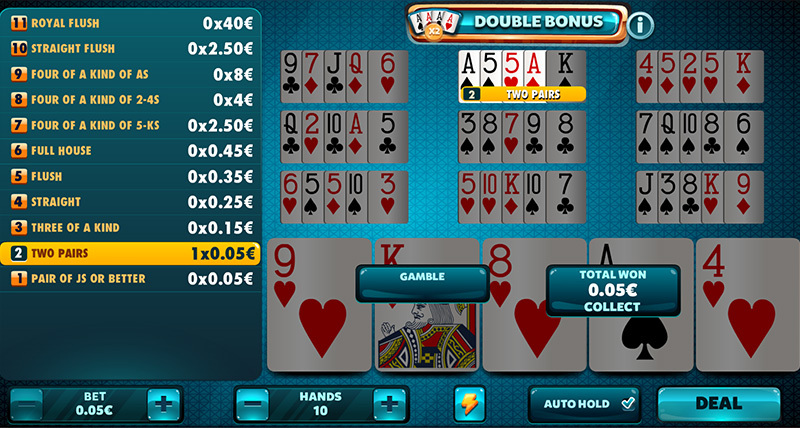 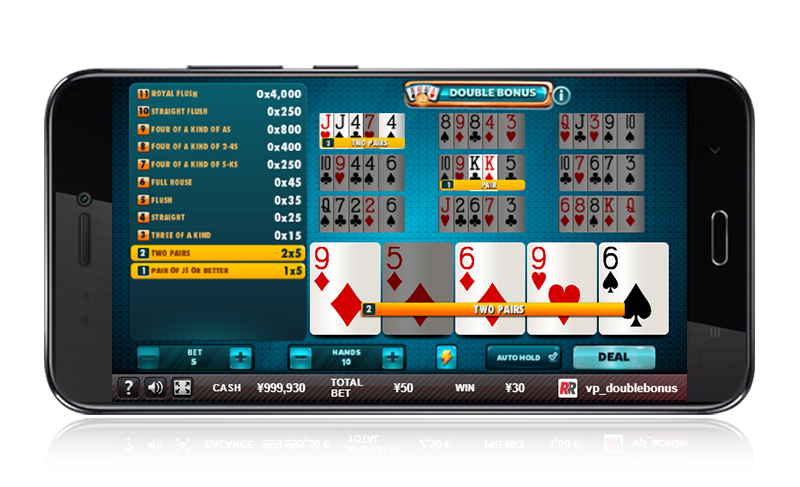 Double Bonus: Any hand equal to or higher than a pair of Js will have a prize.